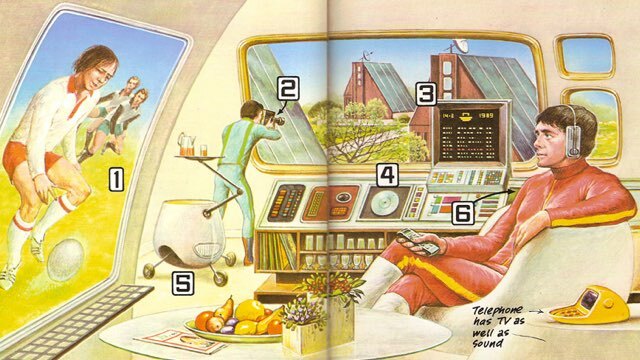 Here's another picture of the future, from 1979. I found these on the site Paleofuture, by the way. Although I think I did had this book as a kid. "By 1990, most mail will be sent in electronic form. Posting a letter will consist of placing it in front of a copier in your home or at the post office. The electronic read-out will be flashed up to a satellite"
So there's no postal service and there's electronic mail... but still paper and keyboards. So close!